We pride ourselves on being able to customise holidays to our clients’ exact needs. Whether you’re on a budget, looking for some adventure or want a relaxing holiday, our travel executives will recommend resorts to match your preferences! Browse through to discover Your Maldives! Imagine if heaven was a spa. For us, that’s the spa experience in the Maldives. Far beyond standard massages and treatments, spa offerings here are opulent. You can choose from Ayurveda treatments, hot stone massages and even unique treatments from world-renowned brands like Clarins. From Spas built on stilts in blue lagoons, underwater spas, snow rooms to award-winning in-house spas, The Maldives gives you a few more reasons to leave your heart behind. The Maldives is known for its tranquil and easy going vibe. Resorts try to hone in on this atmosphere to offer guests the relaxation they are yearning. 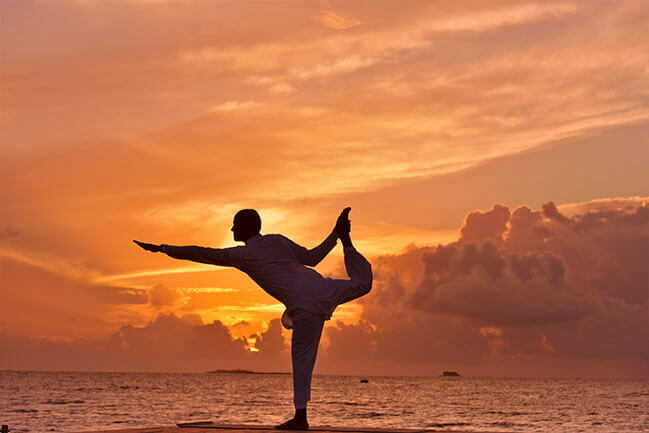 For this purpose, most resorts offer yoga and meditation sessions for guests. Furthermore, resorts also offer state of the art gymnasiums as well as special workout sessions with world-renowned fitness instructors. The W Maldives has fitness sessions with celebrity trainer, Tara Stiles. Amilla Fushi has partnered with Bodyism to provide guests with the “ultimate wellness retreat”. Well-equipped gyms with trainers available to guide you through your workouts. Certain resorts also provide a variety of classes like TRX, Kickboxing, Thai Boxing. There’s no better place to start your forever after than a place that stays with you forever. 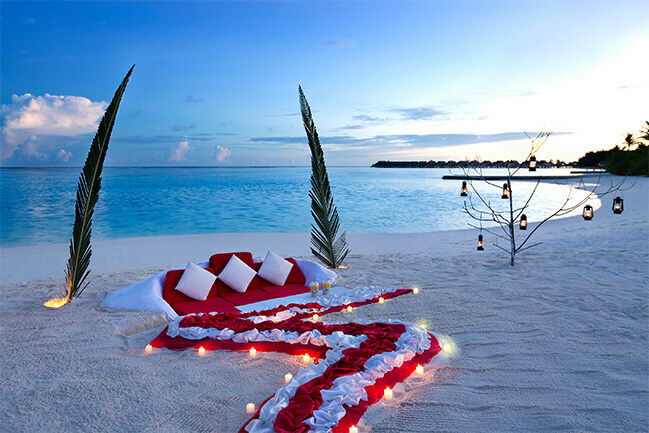 The Maldives provides a naturally romantic setting without much effort. It’s a place where your heart leads and your mind follows. To make sure your honeymoon is the one you’ve always imagined, our travel executives go the extra mile. Be it a romantic private dinner on the beach, a sunset cruise, complimentary accompaniments, we liaise with your preferred resort to make sure every day is special. Picture the setting sun against the backdrop of azure blue waters and a fiery sky and lastly, you standing in front of it all with the person that lights up your life. Be it in the middle of the ocean or on the beach, renew your love and commitment to your loved one in the most special way you can! 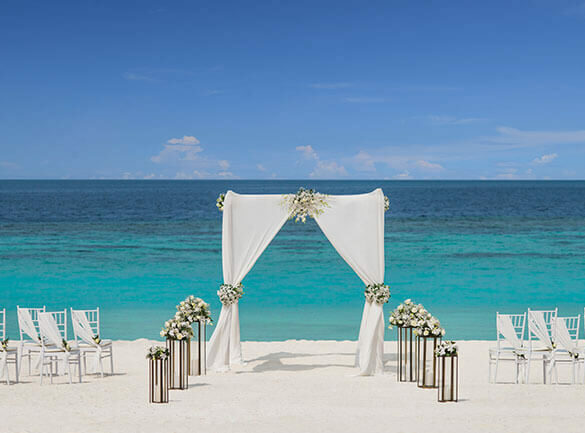 Let us help you renew your vows in one of the most romantic places on Earth. Beautiful beaches to run, pristine waters to splash in and a rainbow of fish to say hello to, your kids are free to be kids here. A number of resorts have children activity centres, with fun activities like arts and crafts, sporting competitions, crab racing, pizza and cookie baking to do. Some island resorts even have both motorised and non-motorised water sports specifically designed for children. Charter a yacht to sail over the pristine Maldivian waters and witness the sky paint a glorious picture with hues of pink, purple, orange and blue at sunrise or sunset. Or, enjoy a sunset meal while exploring the infinite stretch beneath and in front of you!Should you be lucky, you may even stumble on a school of friendly dolphins! And if just a few hours sailing the Maldivian waters isn’t enough, you can choose to hire a yacht for the whole day or for an overnight experience. 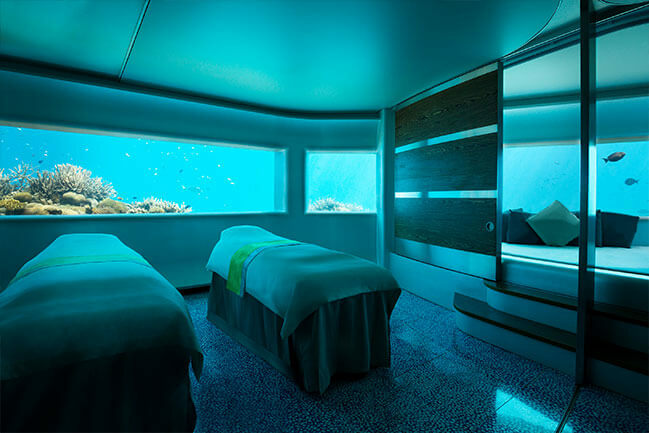 Discover a world unlike anything you’ve ever seen, hidden under a blanket of clear water. Snorkel around the coral reefs right outside your room, dive with turtles, say hello to baby sharks, or just take a moment (or more) to absorb the true beauty of the thriving marine life of the Maldives. Maldives is also home to the UNESCO Biosphere Reserve at Baa Atoll which is abundant with manta rays, whale sharks and more! Surf the tides in Central, North Malé, South Malé and Southern Atolls. February to November is a great time to get your surf on. Want to add some chaos to the calm? Get your adrenaline pumping with the sea bob, banana boat, jet ski and more. The luxury to call a private island home, to be able to step out of your room and into a painting, to live a dream-like life you never want to wake up from. Highly renowned luxury hotel chains like The Four Seasons, Taj Hotels, Cheval Blanc, Sheraton, W & many more are all waiting to welcome you to the Maldives way of life. With spacious rooms, private plunge pools, in-room spas, personal butlers, observatories, overwater cinemas and a lot more. And if that’s not enough, book a private yacht trip, a candle light dinner on a sandbank or a private island or even a private wine and cheese tasting by a sommelier. In The maldives you can dare to dream big, and don’t be surprised if Make Plans holidays makes those dreams comes true. The Maldives is a world that seems untouched but doesn’t have to be beyond your reach. With over 190 resorts to choose from, Make Plans Holidays can help you to curate your dream holiday in a budget that’s not a nightmare. Who says you can’t have fun at work ? A number of Maldivian resorts have facilities to host conferences and other business events. Enjoy business meetings in the day and relax by the beach at night – a perfect balance. Make Plans Holidays can help you plan your next conference in the Maldives !